Pictures from the first day of the pilgrimage. The Archbishops of Armagh, Archbishop Eamon Martin and Archbishop Richard Clarke, are leading a group of young people on a special centenary pilgrimage to significant sites at the Battle of the Somme from Wednesday 22 – Friday 24 June. The Battle of the Somme also known as the Somme Offensive, was a battle of the First World War fought by the armies of the British and French empires against the German Empire. It took place between 1 July and 18 November 1916 on both sides of the upper reaches of the River Somme in France. It was the largest battle of World War I on the Western Front; more than one million men were wounded or killed, making it one of the bloodiest battles in human history. The Somme centenary pilgrimage includes a delegation of young people from across the island of Ireland, including pilgrims from the Archdiocese and Diocese of Armagh; pilgrims from the Church of Ireland dioceses of Clogher, and Cork; and pilgrims from the Catholic diocese of Kildare & Leighlin. The archbishops will also be joined by Bishop Denis Nulty, Catholic Bishop of Kildare and Leighlin; Bishop John McDowell,Church of Ireland Bishop of Clogher; Canon Shane Forster, Archbishop Clarke’s ExecutiveChaplain; and Mgr Gearoid Dullea, Executive Secretary of the Irish Catholic Bishops’ Conference. 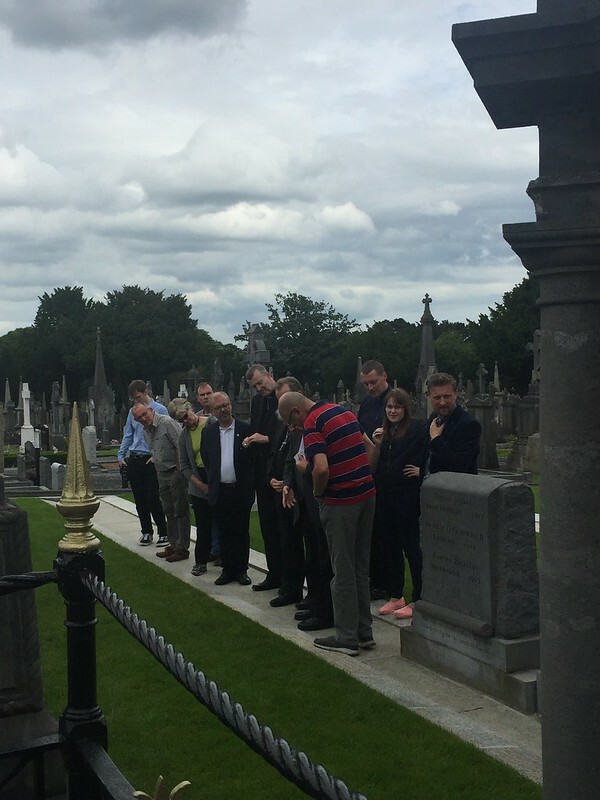 The most significant moments on the pilgrimage will be: a visit and prayers at the new Memorial Wall at Glasnevin Cemetery in Dublin; the visit to the Ulster Tower in Thiepval, France; the wreath laying ceremony at the Menin Gate, Ypres, Belgium, both taking place on Thursday 23 June; and the visit to the Irish Peace Tower, Messines, Belgium, on Friday 24 June. The Ulster Memorial Tower is a Somme battlefield memorial to the men of the 36th (Ulster) Division. It commemorates the heavy losses suffered by the 36th Division on 1 July 1916, the first day of the Battle of the Somme. Every night at 8.00pm a moving ceremony takes place under the Menin Gate in Ypres. The Last Post Ceremony has become part of the daily life in Ypres and the local people are proud of this simple but moving tribute to the courage and self-sacrifice of those who fell in defence of their town. The Island of Ireland Peace Park and its surrounding park (Irish: Páirc Síochána d’Oileán na h’Éireann), also called the Irish Peace Park or Irish Peace Tower in Messines, near Ypres in Flanders, Belgium, is a war memorial to the soldiers of the island of Ireland who died, were wounded or are missing from World War I, during Ireland’s involvement in the conflict. The tower memorial is close to the site of the June 1917 battle for the Messines Ridge. The group will also visit graveyards and memorials linked to the 36th Ulster Division and 16th Irish Division including Thiepval Wood and Guillemont, as well as Newfoundland Park and Lochnagar crater. 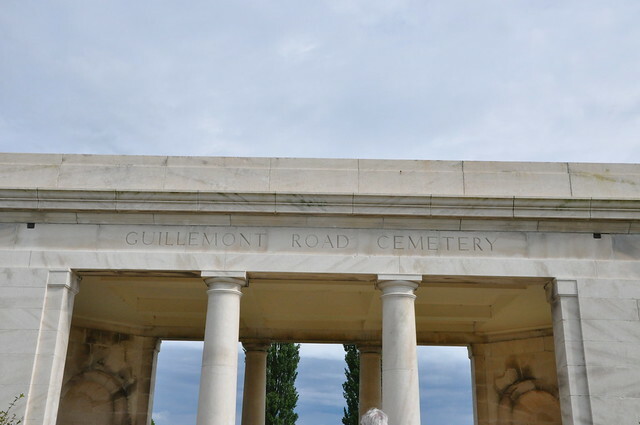 Pilgrims will also have time to visit the site of the Christmas Truce, Tyne Cot Cemetery and Essex Farm and will pay a visit to the Memorial Museum Passchendaele 1917. Follow the pilgrimage on Twitter on these accounts: @catholicbishops, @churchofireland, @archbishopeamon, @bishopdnulty and using the hashtag #sommepilgrimage2016.